Thu., Aug. 6, 2015, 7:41 a.m.
A GRIP ON SPORTS • Pete Carroll is always positive, right? He is Mr. Upbeat, a character from Saturday Night Live a thousand years ago. Well, it should have been a character, because no matter what Carroll is talking about, he makes us laugh with his relentless optimism. Which is why something he said yesterday caught my ear. Read on. • “It’s an issue of concern. Yeah, it’s an issue of concern.” When Carroll says something like that in a press conference, it’s akin to a politician saying he admires a member of the opposing party. You never expect to hear it so you figure it must be true. In Carroll’s case, he was talking yesterday about Kam Chancellor’s holdout, a Don Quixote-like quest to have the Seahawks extend or rework a contract that still has three years to run. 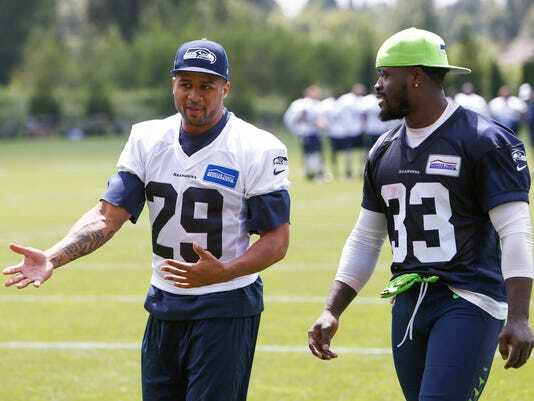 Every day Chancellor isn’t in camp is a day in which the Hawks defense loses a chance to get more precise in running new coordinator Kris Richard’s revised schemes. And that’s starting to wear on Mr. Upbeat. “We have to keep moving,” is how Carroll put it, adding he believes the holdout has to be wearing on Chancellor as well. And here may be why: No matter how important Chancellor is to the defense right now, it’s more important in the long run for Seattle to keep in place its contract philosophy. 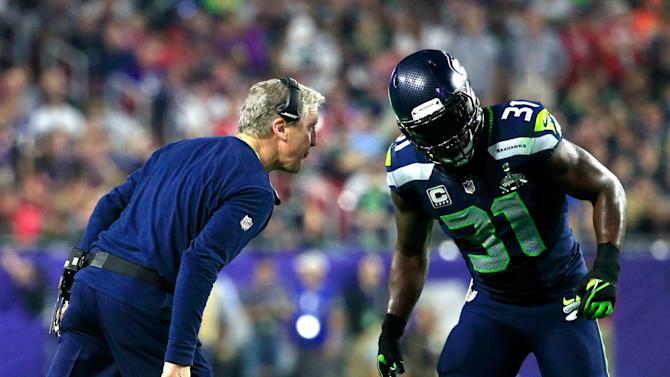 The financial parameters Carroll and John Schneider have put in place are there to allow the Hawks to “win forever,” a stupid term that has an intelligent meaning. The NFL is built to destroy success. It flat-out costs too much to win consistently. Unless you can play the system (not the game, but the system that allows you to continue to excel at the game) better than everyone else. That’s what New England has been able to do. It’s what the Seahawks are trying to do. And giving players raises when they have agreed to a long-term, cap-friendly contract destroys one of the pillars Seattle’s philosophy is built upon. It’s not Chancellor, per se. But if Schneider makes an exception for Chancellor and gives in, who is next? And will that next person be someone even more important? So one of three things have to happen. Either Chancellor has to give up and return to camp, which would cause him to lose face and wouldn’t be a good thing for anyone, or he and the Hawks have to come up with some out-of-the-box compromise that allows Seattle to keep its philosophy in place while allowing Chancellor to say he won. I can’t for the life of me see what that compromise would be. Not even a little. But Schneider is pretty smart – his track record shows that – so maybe he has something in mind. Let’s hope so. • Wait, didn’t I say one of three things have to happen? And I only mentioned two. The third one is too awful to contemplate. Chancellor digs in. Schneider and the Hawks dig in. Both believe they are right and both believe it’s too important to give in. So Chancellor ends up playing safety in Philadelphia or Jacksonville this season while the Hawks bank a high draft pick for next year. We’ll call that the nuclear option and pray no one puts their finger on the red button. • WSU: With only hours now before the Cougars kick off preseason practice (OK, a lot of hours, but still ...), we are starting to fall into the old routine. Jacob Thorpe had a blog post yesterday on the final installment of a web show on the Cougars’ offseason then kicks off our morning with a post filled with Pac-12 links, taking that burden off my shoulders. • EWU: Former Portland State coach Nigel Burton will be part of the Pac-12 Network’s football coverage this fall. • Idaho: The Vandals opened preseason camp yesterday in Moscow. Sean Kramer was there and he has a story on the first day as well as some observations on the blog. • Shock: For some reason Spokane has been unable to get into the end zone much in the first quarter recently. That’s just part of Jim Meehan’s weekly notebook. • Chiefs: Former Chief Liam Stewart has signed with a minor-league team. • Preps: The new Mead football coach was successful in his only other head coaching job. Greg Lee’s story tells us why he made a change. • Seahawks: With Chancellor still not around, others have had to fill his position. That had been the case with the recuperating Earl Thomas (No. 29 in picture) as well, but that changed yesterday, well ahead of schedule. Thomas, who suffered a torn labrum in the NFC title game, was cleared to begin practice. ... Chad Brown has been back in Seahawks camp, though it’s too bad he isn’t in uniform anymore. ... Percy Harvin had a few things to say about his time in Seattle. ... Cassius Marsh may just be the missing piece to the defensive line taking it up a notch. If he stays healthy. • Mariners: The M’s had a chance to sweep a three-game series. They had a two-run lead and the opportunity to leave Colorado with some momentum. Who knows where that could lead. But then the bullpen did what it does this year, the Rockies tied the game in the ninth off Fernando Rodney and the M’s lost in 11, 7-5. ... Taijuan Walker pitched – and hit – well enough to win. But didn’t. ... The recent lineup changes seems to have given the M’s a boost. • Sounders: There was a time this season a draw wasn’t that big a deal to the Sounders. But that was before it had been a month since they had scored a goal. And before they trailed 1-0 in their Champions League opener at Vancouver. So Lamar Neagle scoring late to give Seattle a point turned out to be a big deal. Even to the Sounders.